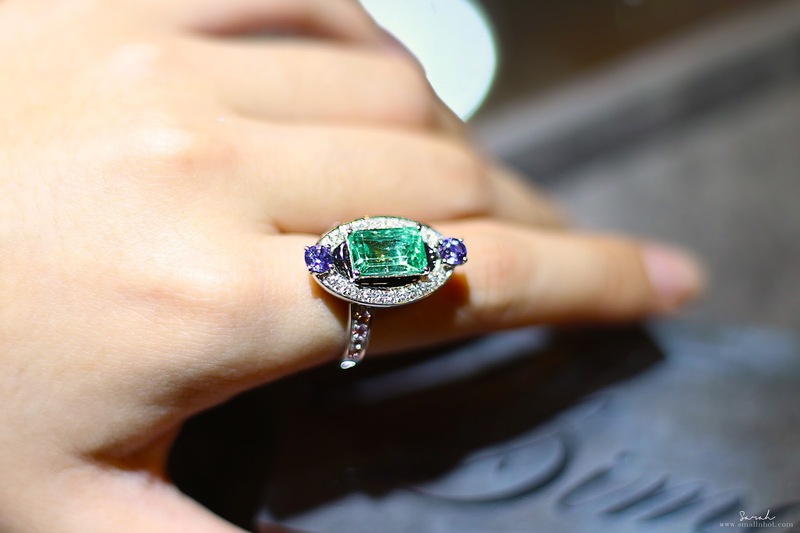 The JeweLuxe a curated fine jewellery showcase featuring some of the finest jewellery houses and high octane designers from around the world concluded at Starhill Gallery KL a few weeks ago and we thought we share with you some of our favorite pieces ". "JeweLuxe borne the vision to bring the appreciation of fine gems and jewels to a brand new level with curated thematic experiences that provide valuable insights into precious gems and jewellery design." said Angela Loh, the curator of JeweLuxe. Karen Suen Fine Jewellery features distinctive and modern jewellery design with exquisite craftsmanship and highest quality gemstones. 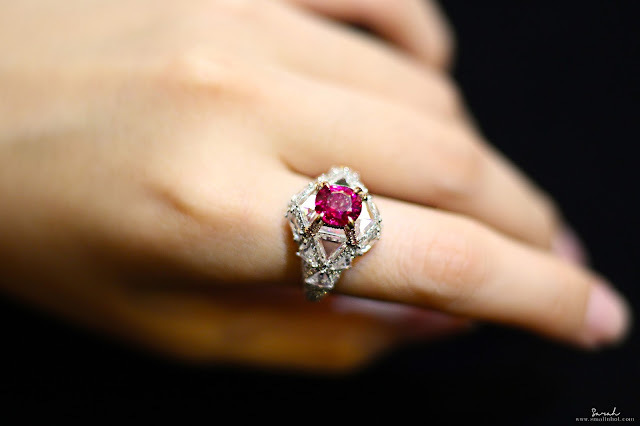 A ring with the perfectly cut Ruby and diamonds all over is without a doubt one of the most prettiest rings of them all. 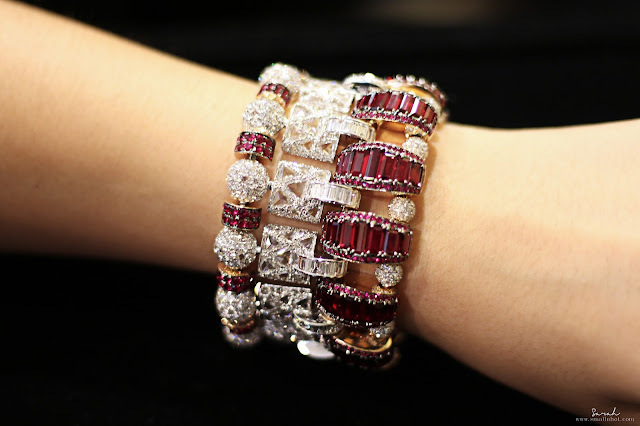 Aside from that, this luxurious vintage touch bracelet offers casual yet elegant, highlighting the use of Ruby and diamonds that shines with maximum beauty. 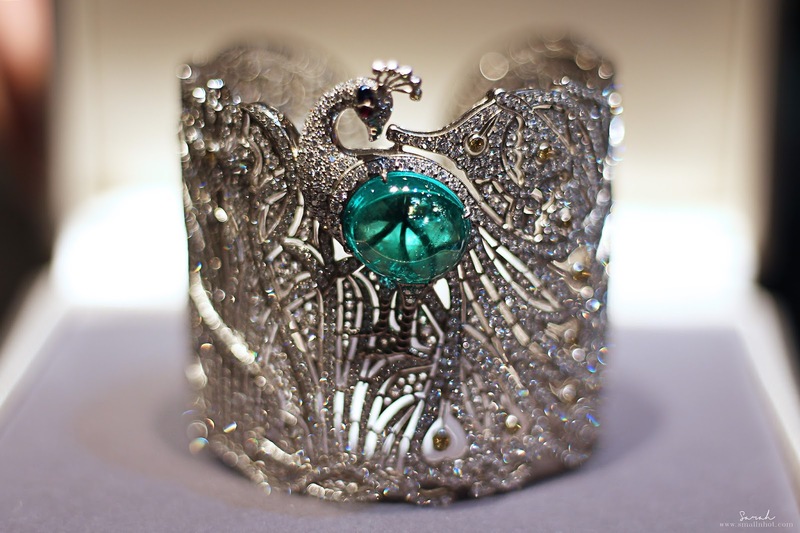 Simone Jewel is known for its "one-in-a-kind" wearable work of art among the stylish women in Singapore. This ring with emerald, sapphire and diamonds does showcase the kaleidoscopic beauty of gems, absolutely versatile and stylish. CHAVANA embraces the style and craftsmanship that have been passed down for four generations. 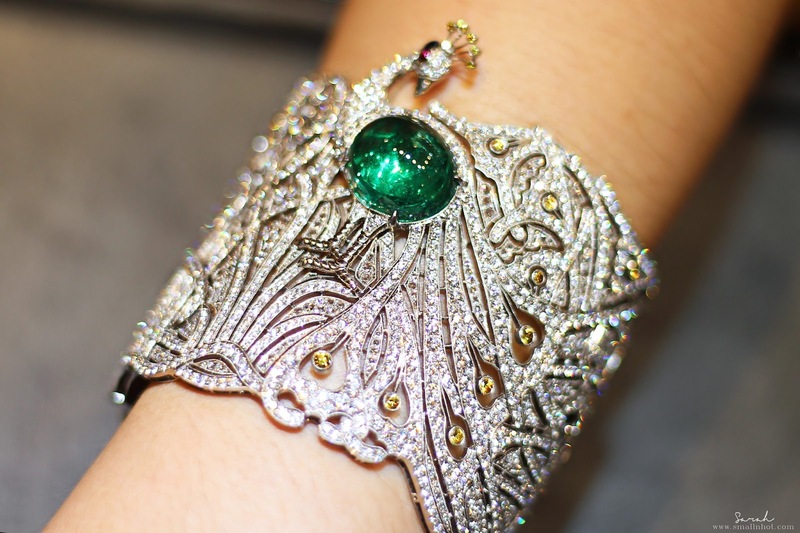 With the use of traditional jewellery-making techniques, this Emerald Peacock inspired bracelet is definitely one of our favourite. It's truly an epitome of class and elegance. Now that's what we call Art and Luxury personified..!